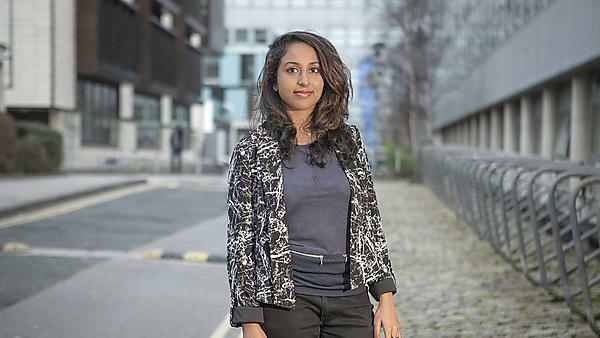 Raneesha looks back upon her undergraduate and postgraduate degrees and tells us how important the support and culture was at Plymouth. BSc (Hons) International Management and Business was always my dream degree because I wanted to be a part of the business development team at a multinational. Now I’m pursuing my MSc Marketing Management so that I can possess the advantage of being knowledgeable in two fields, hopefully giving me more flexibility and choice when it comes to finding employment. I’m always on the lookout for employment opportunities that will help me to utilise the knowledge gained from both degrees. If you are looking for a job that involves business development, make sure you obtain a little knowledge in the marketing field as well. Business and marketing go hand in hand. Always ensure that you are at least two steps ahead of others. That way, you’re always prepared to beat off your competition. Never procrastinate during work; that is the most important thing. It was tough being an international student because the expectations are always higher when you’re from a developing country. During my undergraduate degree, it was the structure and leadership of the course which pushed me to do better. It encouraged me, and gave me the opportunity to improve myself. Working as a student ambassador back in Sri Lanka, I also learned to become more versatile at work. Thereafter I got the opportunity to pursue a postgraduate degree on a scholarship, something that still seems like a dream to me. I have not one but a million memories that I could list. The friends I’ve made, the experiences I’ve gained, and the constant appreciation and praise I’ve gotten from the CEO of the National School of Business Management and the Vice Chancellor of Plymouth University for my hard work are the top favourites. I still keep in touch with my mates via WhatsApp, and of course the Facebook group we created right at the beginning of the degree. I’m blessed because I still get to be under the wing of some of the fabulous lecturers who taught me during my undergraduate years. Definitely yes. The ambience at Plymouth itself and the support provided by the lecturers was exceptionally good. The level of exposure and the ability to showcase your strengths and talents are key reasons why I recommend it. Plymouth University also believes in ‘rewarding hard workers’ and I am definitely a living example of that. It is the place to be if you give one hundred percent to your work. Make your learning fun and expose yourself to a lot of new things. Be an inspiration to yourself. No matter how long your degree is, maintain consistency. Work meticulously and if you ever feel like giving up, remember why you started. For more information about our range of courses within the Plymouth Business School, please visit the school page.